I haven't blogged for ages, my eyesight is now getting better so I'm back! 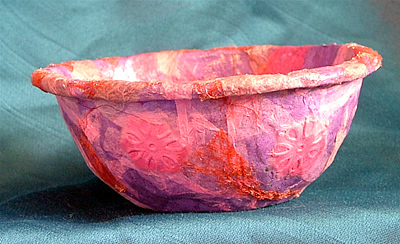 I have been busy crafting though and have made some papier mache bowls. I will be putting up a tutorial on my website to show how I made these. I have completed a couple of commissioned pieces too, though I haven't sorted the photo's yet. I have also been trying to get a facebook page up for my business which has been a nightmare. It must be my age as my teenage daughter managed to sort things out for me in the end. I hope you like them, they are fun to make and I enjoyed the process. 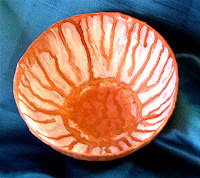 Now I'm going to have a look at Wendy's Blog 1st Unique Gifts to see what everyone else has been up to for Handmade Monday. Do pop over and have a look at all the other fantastic crafts. If you are crafty too you can join in. 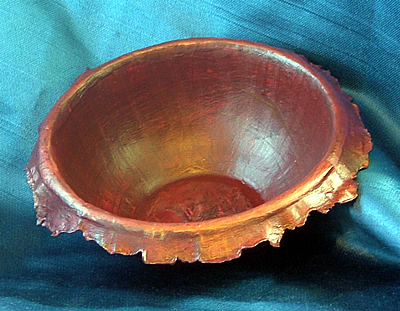 Lovely bowls. I find fb difficult to manage too and still learning it. That takes me back, haven't done papier mache for years. I used to love it. I particularly like the one with the rough torn edge, looks very effective. 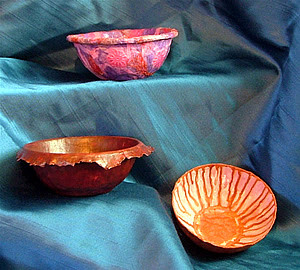 Great bowls, I'm in the process of making a few as a commission for a shop to display small crystals etc. I'm really glad that you are back to crafting and the eyesight is improving. I was in a bit of a pickle with my facebook page at first but it gets easier the more you use it. Thank you for all your lovely comments. Picto thank you for following me on FB my daughter obviously knew what she was doing. I do say ask a teenager whilst they still know everything, trouble is when it comes to FB it's probably true! I'm with Alison, your bowls are great - but I can only imagine the mess I would get in, leave that skill to you. Hoping all stays well with your eyes. These are gorgeous. I've done lots of paper mache, but may I say, these are some of the nicest I've seen! Visit our website, using one of the links below, to find some great craft ideas for you to try.